Dave & Buster's, the premier dining and entertainment venue, is ready to knock you off your block with the debut of its new Rock 'em Sock 'em Robots™ game. This oversized take on the classic Mattel game recreates the competitive fun of the original toy on a gigantic scale, replacing the 6-inch tall robots with massive versions that stand at more than 5-feet tall. The new Rock 'em Sock 'em Robots game, manufactured exclusively for Dave & Busters, debuts on Dec. 26 and won't be available anywhere else. Rock 'em Sock 'em Robots pits two players against each other as they control the iconic red and blue robots in a boxing battle to the finish, when the winning player knocks the opposing robot's head off. The giant robots and scaled-up boxing ring take the fun of the classic 1964 Mattel game to the next level to allow generations of fans to reconnect with a childhood favorite. 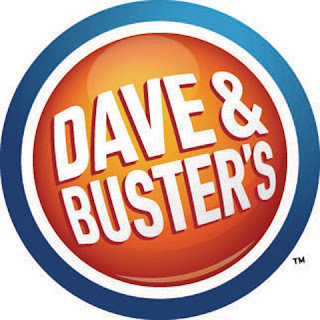 "Dave & Buster's always aims to provide exciting new experiences to its guests, and our exclusive new take on Rock 'em Sock 'em Robots brings a massive dose of competitive arcade fun," Kevin Bachus, SVP of Entertainment at Dave & Buster's, said. "The game has been a favorite for more than 50 years, and we jumped at the opportunity to put our own giant stamp on a classic." For more information please visit Dave & Buster's at daveandbusters.com.